Apple held an event today announcing some of the new features coming in iPhone OS v3. Thee were loads and loads of new features, but the big ones are cut/copy/paste functionality, push notifications (I guess most developers will believe it when they finally see it), spotlight search, and many others. Cut/copy/paste functionality is a small yet very often requested addition to the iPhone. It works by double-tapping a word or section of text, after which a bubble will pop-up with cut, copy, and paste options. Users can also drag to expand the selection. Tapping on an empty space will also bring up the pop-up, allowing you to paste your text. Apple also added support for MMS into the SMS application, which has been renamed to the Messaging application. Users can also record voice memos and send those via MMs, as well as other audio clips and vCards. The updated application also supports deleting individual messages instead of just clearing the entire log. By flicking to the left, you can now bring up a Spotlight interface that allows you to search the entire device, just like Spotlight on the Mac. It searches through documents, emails, applications, and so on. Promised at last year’s WWDC, push notifications will also finally arrive as a solution to the problem that the iPhone can’t multitask. According to Apple, it took so long because they had to re-engineer the framework after they realised just how popular it would become. There are load sof other features as well, such as Bonjour device discovery, peer-to-peer support, lots of new APIs (such as location awareness and maps), and much more. iPhone OS 3.0 is set to arrive this summer, and will be free for all iPhone owners. iPod Touch owners will have to pay USD 9.95 for the update. i can’t believe iphone did not have copy paste. this is fundamental for such a device. To be honest, I’ve not missed copy & paste at all, but it’ll keep people from harping on about, so for that I’m immensely grateful! I’ve never had use for it and I use the mail app quite a bit. I can see why it would be a popular feature with some users though. My two biggest gripes with the iPhone are that it takes too many steps to get to the VPN and bluetooth controls. Ive never used copy and paste on a phone. I don’t know if this is going to be useful to me or not. However im really happy that this has been included as finally i don’t have to hear about lack of copy and paste from every newsite and forum in the world. A shame there’s jumbo-sized iPod Touch just yet. Push is great to see, although I’m a bit nervous about the already poor battery life. I also hoped for some method of switching between apps and maps or browser without losing your place. You can embed Maps now, which is nice, but something to combat the Palm Pre’s elegant app would have been good. Still, it’s a pretty exciting upgrade. There can’t be too many doubts left about the iPhone now. I’m afraid I can’t point directly to the article, but there’s a legal reason Apple has to charge iTouch users (like myself) who don’t pay a monthly fee to a phone company, whereas iPhone users get it for free. I’ll see if I can find it…. Supposedly its related to Accounting rules, but honestly I think that is a load of BS. I don’t know of any other vendor that does anything like that. Take the PS3 for example. Since its launch there have been many improvements and new functionality added and yet there is no charge for it. The list goes on and on. Apple is the only company that seems to interpret the rules this way. Is there an accountant here who can give us their opinion? So they have to charge that amount, huh? If you can’t afford a $10 software upgrade, you have better needs to fill. The basic necessities of life come first. Apparently the update will enable the “mystery chip” on the last gen iPod Touch: at first it was suggested the said chip was simply for the Nike+ connection. As it turns out, it was bluetooth after all and the update will enable it and allow device to device connection, file sharing and A2DP. Hmmm. Government regulation. Look up GAAP and SOX. Read and learn. Apple has to comply with the Sarbanes-Oxley Act. The money that Apple get for the iPhone when you buy it is not all realised as revenue at the time of the sale. 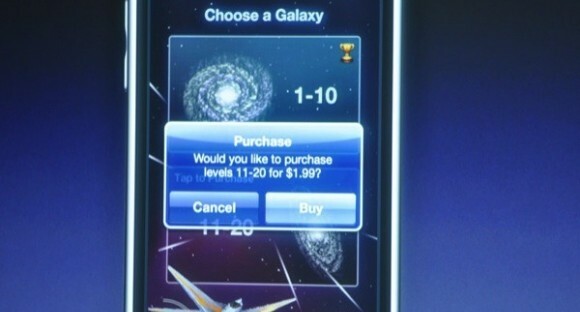 Instead Apple take 1/24 of the sale price only each month as revenue, eventually taking the full revenue after 2 years. This was specifically done by Apple for the iPhone and Apple TV to enable them to legally and without charge offer regular updates for both devices without falling foul of the Sarbane-Oxley laws. As Apple only take part of the revenue each month from the sale of the device, they can then claim that any updates are covered in the revenue taken. It is called GAAP accounting. This is NOT how they account for iPod touch sales, where 100% of the revenue is take at the time of the sale. Therefore any upgrades need to be paid for or Apple would break the Sarbane-Oxley law. That’s just Apple fanboy speak: Blame the government for Apple’s over zealous charging. As if Apple is known for giving away stuff cheaply. Why don’t Microsoft then charge for service packs? If you actually bother to read the link you provided you might see there’s nothing of the sorts in the act. The act only tightens accounting standards (which is a schlep for companies), so if Apple is blaming the law, then it only means Apple used to get away with something unethical before. I don’t own an iphone, but can someone explain why it can’t “multitask”? The phone is based on BSD/Mach, why would Apple seriously prohibit multitasking artificially? Battery life. That much should be obvious. That’s pretty much what they have said since the iphone came out. Not exactly sure it’s obvious.. my Nokia can run multiple apps at the same time. It’s also a question of performance. It’s not that the iPhone isn’t capable of multitasking (unlike how some on this site have alleged). Owners of jailbroken phones will know that this is true. The design vision was to prevent unwieldy process management interfaces being necessary (as seen on other mobile platforms) that most users simply don’t understand. This was a usability decision only. Ask most people if they miss multitasking on the iPhone and you would be lucky if they even know what you mean by ‘multitasking’. Edit – Let’s not name names. It’s also a question of performance. It’s not that the iPhone isn’t capable of multitasking (unlike how some on this site have alleged – looking at you Thom). Uhm, where did I say it couldn’t theoretically multitask? It does multitask, its just only accessable to select apple applications. I would really rather have the option of multitasking at least (separate download addon from the app store?). I wish they would let ME decide what I want to do with my battery life. Either way, you can do this with any app on a jailbroken phone. I just hope it doesnt take too long for 3.0 to be jailbroken. That’s a fair point and to be honest I cannot tell you how many times I’ve had apps running in the background and haven’t realised it for days.. Exactly. I have two dictionaries, a call recording program, a Last.fm scrobbiling program and a few core programs (like Contacts, for immidiate access) running in the background on my Nokia S60 phone. So the iPhone can’t do this? You can’t e.g. run a 3rd party Internet radio application while browsing the Internet? And battery time wasn’t an issue, there’s hardly any difference with and without all these apps running in the background. As long as none of them download huge amounts of data. No, you can’t do that on an iPhone. You can try Backgrounder for sending the radio to the background, but the OS might kill it any time if the memory is getting low. (Symbian does that as well for non-system processes). But (this is a really bit but), most of the applications suspend/resume fast enough. With the push notification in place, the only thing left out really is the internet radio… There’ll be applications in Cydia for that. On an unrelated note, I think this copy-paste method is by far the most elegant of all mobile platforms at the moment. basically, its PalmOS all over again. Limited “multitasking” with some hacks, otherwise programs write their “states” to a temp database file upon exiting and resume back to where you left off instantly. The music player runs just fine in the background of my iPod touch while I’m doing other things. Then again, my LG Musiq not-so-smartphone can do the same thing. I’m just glad to see that Apple are addressing issues and moving the platform forward. The $9.95 seems silly but whatever. I realized this the time I was introduced to the iphone. Someone asked me if he could hear audio explanation from one site that would explain the ‘text’ on another (it was really a jpg of a book written in a foreign language) He pulled out his iphone and we couldn’t see the pic and hear the explanation at the same time. 3. Developers *CAN* write multithreaded applications that run just fine, without a problem: if they don’t do that, don’t look at Apple, because Apple didn’t tell them they couldn’t. The price for all the power OS X and the frameworks is that it all takes a lot of RAM, unfortunately, and this makes things surprisingly tight, it seems. Personally, I’m hoping for the next major revision of the hardware to at least double the non-FLASH RAM, as doubling the actual non-FLASH RAM would more than double available application RAM, due to OS and video buffer management overhead. you need an appropriate UI to handle the multitasking, not just the kernel and Apple didn’t think of one for that form factor. What makes you think that the GUI they use is not the appropriate GUI for multitasking, or, for that matter, exactly as much multitasking as they intend to be exposed? Do you have development experience on the iPhone OS to indicate that the GUI itself is incapable of multithreading/multiprocessing and dealing with that correctly? I think, that the lack of multitasking is slightly sloppy. I can understand their reasons for it. However it would be nice if it were possible to have a special class of app like IM or radio that would run in the background in a low resource mode (i.e only have the backend running). The multitasking ui could have a limit of 2 apps open (1 of the special type and another full app). the pre and android both have full multitasking so the argument that osx is too resource or battery heavy is probably not particularly valid. It would be interesting to compare the battery life of an android, iphone, a pre and a S60 phone when running similar tasks. You could argue that push notifications rectify this somewhat, but with push you’re reliant on someone providing a server for the push service.To get an IM a service would have to be run on apples server, which then would push to an iphone, then the user has to open the im prog and then it would download the full message and then the user sends a message but that goes directly to the original sender. In today’s world that isn’t such a big deal, but the asymmetric nature and the aditional routing jumps add to possible points of failure that aren’t really necessary. There is some multitasking already in the iPhone. Music will continue to play while you are using other apps, for example. I agree that it would be nice if this functionality could be extended to third party apps. The argument isn’t really that OSX is too resource or battery heavy. The argument is that if apps were allowed to be launched concurrently without bound, it would then be too resource intensive and it would be bad form to force the user to have to deal with a ‘process monitor’ style UI. I don’t have experience with Android or Pre, but I’m interested. How do they deal with this issue? Do they automatically limit the number of launched apps or do they have a nifty task management UI that Joe User can deal with? You could argue that push notifications rectify this somewhat, but with push you’re reliant on someone providing a server for the push service.To get an IM a service would have to be run on apples server, which then would push to an iphone, then the user has to open the im prog and then it would download the full message and then the user sends a message but that goes directly to the original sender. In today’s world that isn’t such a big deal, but the asymmetric nature and the additional routing jumps add to possible points of failure that aren’t really necessary. I personally feel that with a good enough infrastructure for saving the state of a running app, coupled with fast app launch times, there is no need for multi-tasked apps (except for audio apps as previously discussed) and it is actually preferential to only have a single app running with full access to system resources. free for your iphone, but a rip off for touch owners. I for one will NOT be buying it, but will instead wait for the jailbreak. Oh give me a break!!! Sorry to sound miffed but are you really going to say that after we’ve been through this once before. It’s ten dollars for a wack load of new features. You can think of it as a small price to pay as iPhone users are dropping lots of money every month for a plan… or as a software upgrade like any other program you have to pay for (but only $10!!!) or any other way except getting screwed. Getting screwed would be iPod Touch users NOT getting this update and if you really get this thrown over $10 maybe you should stick with something that once you buy it you know it’s all you’ll ever get. Its an operating system upgrade – why are you entitled to an operating system upgrade free of charge? why not complain to Dell, HP and all the other vendors because they won’t give you a free upgrade to Windows 7 for your three your old computer you bought off them? Good lord, I don’t know why people assume that some how the iPhoneOS should be any different to any other operating system out there. You get free iPhone updates/upgrades as part of Apple’s contract with the phone companies; iPod, however, does not have a reoccurring revenue stream tied to its usage so there fore, the operating system development costs have to be covered rather than simply one group subsidising it for another group. Oh, and btw, don’t compare upgrades of iPhoneOS to updates of operating systems – because it is a stupid comparison. I might as well say that Microsoft shouldn’t charge for a single operating system since they’re all updates going by some peoples definition of update on this website. I might be wrong, but I believe Apple used to provide things like this for free until they got caught with some new regulation and had to charge the minimum $9.95 or whatever. their hands are tied on the matter, they can’t release it for free on the Touch. I think you are referring to the Sarbanes-Oxley Act and how they would record the cost future development to the devices shipped if they gave it away for free. It would become a ‘liability’ and thus it would be difficult measure than ‘liability’ in the form of developmental and support cost per unit. Ah, the wonders of regulation and stupid decisions from the wise and wonderful in the seat of power. Here’s an old Ars article regarding Apple releasing an 802.11N firmware for their Airport chipsets to enable N.
In the case of subscription devices like iPhone, they can add as many features. I wonder what the reason for this is, is it to prevent companies from promising upgrades that aren’t available yet? seems to have backfired if so. wow. I knew that sarbox helped drive the financial industry to London and prevented new startups but here’s a specific example that I didn’t think of before. What I do find funny is that the US has regulated business till the gills only to find that the countries who have less regulation and are bound by industry based professional organisations do not have the fall out that countries with more regulations do. Regulations just are just more challenging to work around – but mark my words, if a company wishes to work around regulation, they will. The assumption that regulation will solve the problem and the lack of regulation causes crisis is a situation of correlation not causation. This http://www.blogcdn.com/www.joystiq.com/media/2009/03/iphone031708.j… says it all. I call this â€œthe money shotâ€. There arent really any big new features for 3.0 though. Copy/paste, MMS, and a recorder app. Seems more like it would be a 2.3 or something. Hell, if palm took palm OS 5 and added 3 relatively small features like the ones above and increased the version to 6 everyone would think they were idiots. Hell, the upgrade from windows 98 to ME had more than this and everyone ridiculed Microsoft because it didn’t change enough to warrant anything more than a service pack. And as much crap as they are going though to design push (pretty much a workaround to a purposely designed flaw that is lack of multitasking) you would think that they would just enable the damn multitasking for user apps. The push will end up using just as much (if not more) battery life. And as far as multitasking being too difficult to understand for us apparently stupid users, look at what palm did with pre..